Earlier this year, a car accident on Nevada’s U.S. Highway 50 resulted in tragedy. The 40-year-old man who was killed as a result of the car accident was from Silver Springs. According to the Nevada Highway Patrol, it is believed that drugs and/or alcohol may have played a role in the fatal crash. According to news reports, the driver of a Ford F-350 truck failed to yield to traffic already on the highway. The driver of a nearby sedan could not slow down, much less stop, when the truck pulled out into his lane unexpectedly. The sedan hit the front of a vehicle, leaving both drivers with critical injuries. The driver of the sedan died shortly after arriving at a nearby hospital via helicopter. Unfortunately, while the above accident is still under investigation, it will likely add to the statistics of fatal drunk driving accidents in the state of Nevada. This is a difficult scenario to understand because state legislators and law enforcement officers alike have spent decades warning the public of the tragic dangers of drinking and driving. Is impaired to the point where he or she cannot drive safely because he or she is driving while under the influence of drugs or alcohol. When filing a civil lawsuit for personal injuries against the drunk driver, a DUI accident victim must prove the intoxicated driver had a duty of care to drive carefully; this duty was reached by driving while under the influence of drugs or alcohol; the accident was the actual and legal cause of the victim’s injuries; and the injuries caused damages to the victim. Should the lawsuit move forward and result in a trial, a Nevada judge and jury may decide to award the victim compensatory damages to cover expenses resulting from the injuries as well as punitive damages to punish the drunk driver for his or her behavior. 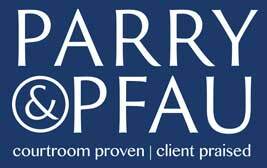 If you or someone you know has questions about Nevada’s negligence laws, or has suffered an injury due to the fault of another, contact the experienced Las Vegas personal injury attorneys at Parry & Pfau.